Pyramid Solitaire Saga, by the creators of Candy Crush Saga and Farm Heroes Saga! 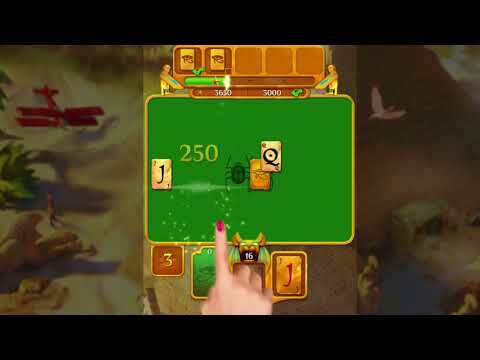 Challenges await you in this magical solitaire game. Join Helena and her faithful companion Kingsley on their journey to reveal the wonders of the ancient world. Find the clues by catching the scarabs hidden under the cards. You can associate a card directly below or above that of your draw pile. Catch the beetles that run and collect clues to help you on your journey and reveal the treasures and magic of the old, buried for a long time. Complete each episode to reveal a hidden treasure and head into new magical worlds on a quest to rekindle Khépri's prophecy.